Dr. Maija Vähämäki works as a university teacher at the department of management and entrepreneurship, in the unit of management and organisation at the University of Turku, Turku School of Economics. Her expertise is in diverse topics of organizational learning, leadership communication and work place relationships, dialogue in organisational development and qualitative research methods. To the SWiPE research project she brings her expertise, e.g. her recent research subjects, which have been strike susceptibility in organizational culture, changes in leadership philosophy and its effects on employees, learning of first-time managers, and supervisory relationship as LMX-relationship. In the SWiPE project she has been studying employees’ meaning making on working with robots. 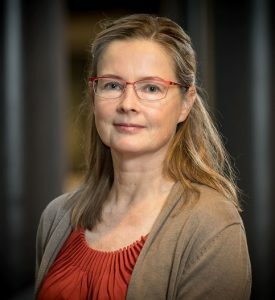 Read more about Maija Vähämäki and her work as a researcher.